The city of Campbell has humble roots as a 160-acre hay and grain farm, with the city’s founder infamously selling one $5 acre of land to the railroad, which soon became a fruit-shipping center and the home of the Campbell Fruit Growers’ Union. These agricultural developments soon gave way to local canneries, which spurred further development into Campbell’s current commercial district. 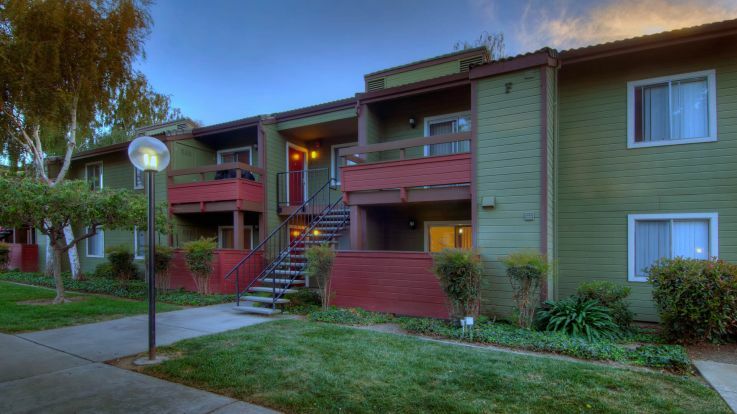 The city’s residents may not be the farmers their predecessors were, but local parks and recreational facilities just steps from most Campbell apartments give people the chance to get outside and enjoy the greener side of the Silicon Valley. Campbell’s commercial district is indeed thriving, thanks to the weekly year-round Campbell Farmers Market and a thriving downtown historic district. More than 100 local businesses, eateries and entertainment options line the city streets a few blocks from Campbell apartments and residential neighborhoods, making the community a walkable, tight-knit place to meet neighbors and call home. The city, which has a population of just under 40,000 residents, is located near larger city hubs like San Jose and Santa Clara, so there’s no shortage of things to do just outside the city’s limits. Hop on I-880, I-280, Routes 85 and 17 and easily get around the Silicon Valley and beyond. Campbell, otherwise known as the Orchard City for its green past and present, has plenty of annual events on its community calendar, including Boogie on the Bayou, Relay for Life, a community garage sale and the Oktoberfest celebration and accompanying 5k run/walk event. Nearby trivia nights, luncheons, community brunch events are hosted in local businesses, just a short drive or walk from Campbell apartments and the Downtown Historic District. See all that this green community has to offer, from the historic Ainsley House to the newly renovated Heritage Theatre and the Historical Museum, all of which appeal to residents looking for quiet Campbell apartments to call home, friendly neighborhood faces and a rich history, and access to big-city convenience.